Mark Twain once said that “Age is an issue of mind over matter. If you don’t mind, it doesn’t matter.” For many senior pets, age is just a number, and often as they get older our pets begin to appreciate the simple things in life, like cuddling on the couch on a cold night, or lounging in the backyard on a lazy summer’s day. For many of us looking to adopt a new member into our families, senior pets can be a suitable option, especially if you are looking to adopt a pet with specific traits to fit in with your lifestyle. According to our senior veterinarian, Dr Alan Bolton, senior cats and dogs have a number of benefits that many people are unaware of. “I have adopted senior pets in the past. One was a terrier, who had a beautiful character, and brought so much fun and joy to my family,” said Dr Bolton. The Home currently has three senior dogs all looking for their forever homes with more senior candidates on the way. 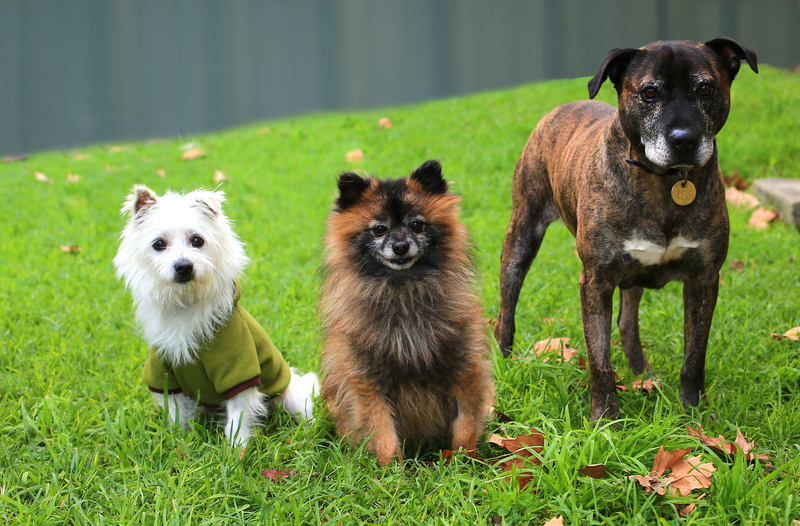 Sugar a nine year-old Maltese Cross, nine year-old Pomeranian Cross Andy, eight year-old Staffy cross Max, are all currently available for adoption, and we will have more senior dogs available for adoption in the coming weeks. Each and every one of these dogs will offer something wonderful to their new owners. Sugar, already knows how to behave during bath time, but still has a fair amount of energy for a small, older dog. Whereas Andy is a peaceful, happy dog who will be content spending his time in a quiet environment getting love and attention from his new owner. While a senior pet may require more frequent trips to the vet compared to their younger companions, with the proper care, they can continue to be happy and healthy throughout their golden years. “Any prospective adopters will need to be mindful of their pet’s age and pay closer attention to their health compared to a younger cat or dog. But, with daily care and proper nutrition, you can have the perfect companion for many years to come,” said Dr Bolton.